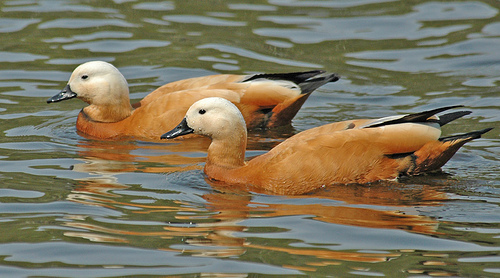 The Ruddy Shelduck is a rare visitor of western Europe. It breeds in eastern Europe, but occasionally wanders off. It is a fairly large duck, about the size of the common Shelduck. 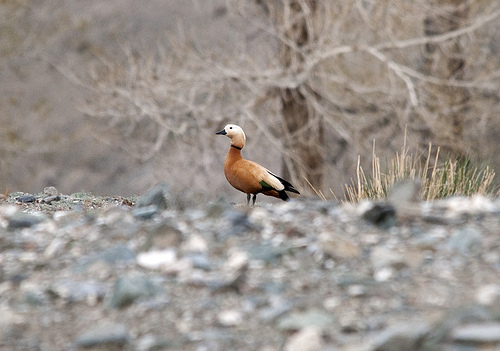 The Ruddy Shelduck is plain brown, the common Shelduck has a lot more white and dark-green on its body.